My arty side has always been restricted to writing, not art or crafting. I’m messy and can’t draw or paint for toffee however during my feverish exploration of self-care ideas during the last five years I’ve found I really enjoy card craft, and the best part is you don’t really need any talent at all. 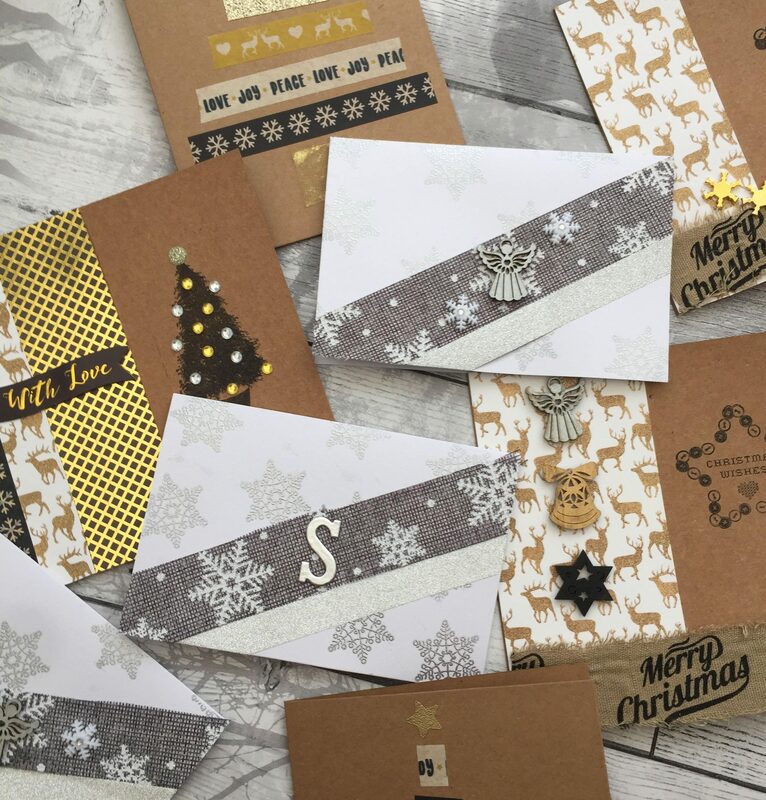 I posted lots of card making ideas last Christmas (click here for those) so I decided to share the three main designs (if you can call them that!) I’ve created this year too. Card making is fun and therapeutic, and a great idea if you’re looking for an activity to do with your older children. 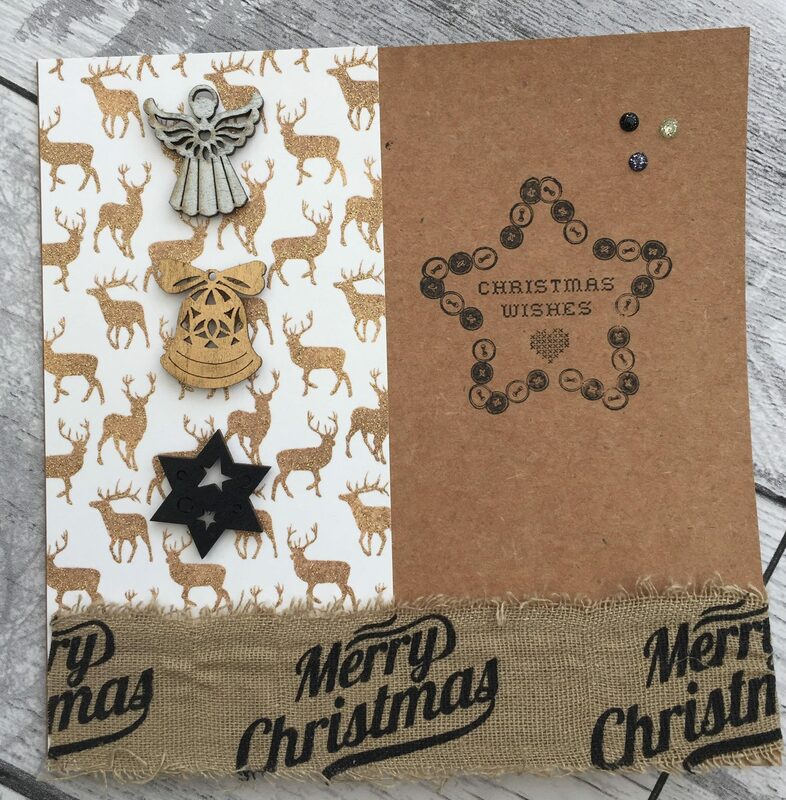 Since stores like The Range and The Works have such huge ranges of craft supplies now it’s really simple to put pretty cards together. 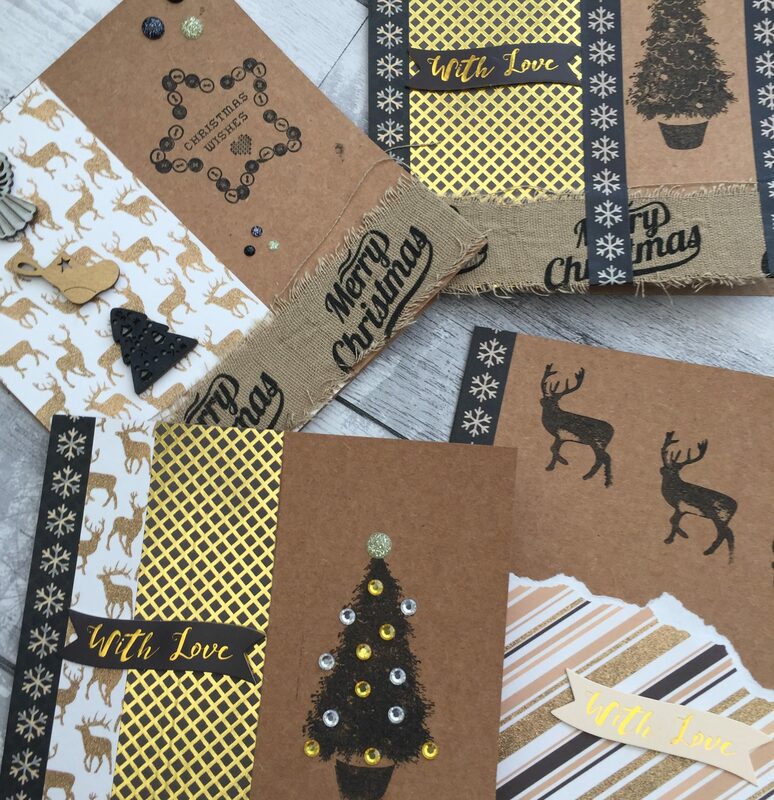 The star of the show with these cards is this beautiful Time To Sparkle paper pack from Dovecraft at The Range. I tend to use one great product, in this case the paper, to dictate the whole colour scheme of the cards – black, white and gold in this instance. For this design I stuck half a sheet of the glitter reindeer design from the paper pack to a kraft-coloured card blank from Wilkos with double-sided tape (I always use double-sided tape where possible because it’s so much less messy than glue). I then placed a strip of this lovely burlap ribbon from The Works along the bottom, again attaching with tape, folding the ends inside (I don’t think it matters if the recipient can see ends of ribbon etc inside the card as it just adds to the homemade feel). I used a perspex stamping block and a Christmas stamp to create the image in black ink and finished the card off with three wooden embellishments and three glitter dots in the top right corner. 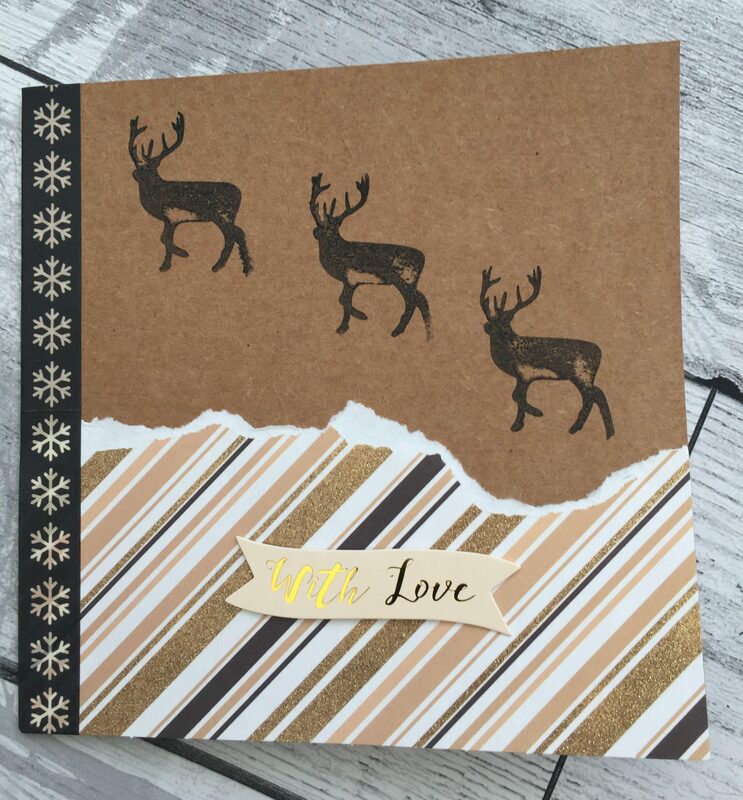 This is very similar except using a reindeer stamp, washi tape down the side and finished off with a Time To Sparkle “With Love” topper. This time I tore the paper instead of cutting it to give a more interesting texture (make sure you tear towards you to get the white edge). If you want to invest a bit more money into your hobby then you can begin embossing. 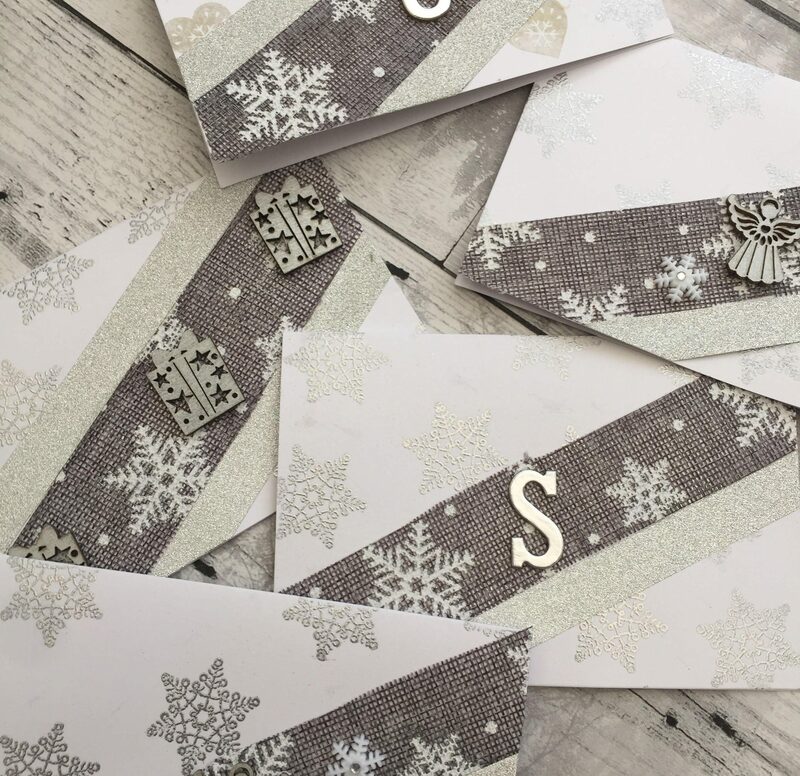 I made the background of these cards using a snowflake rubber stamp, Versamark ink (a clear, sticky inkpad specifically designed for embossing), silver embossing powder and a heat tool. You first stamp the image using Versamark, then cover generously with the powder, tap off the excess and powder will cling to the stamped image. You then aim your heat tool over the powder to melt it and turn it into a permanent, textured and metallic embossed image. 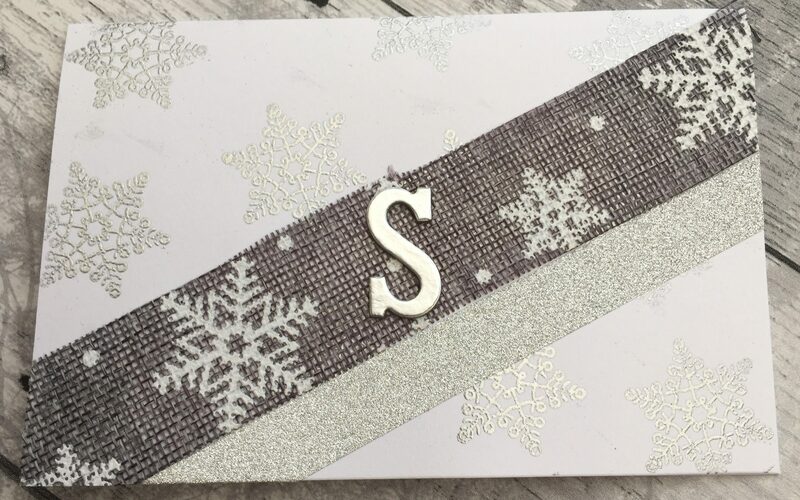 I finished the card with a diagonal strip of patterned hessian, a strip of silver sparkly washi tape and a monogram, self-adhesive letter of the recipient’s last name. This is the easiest and quickest card of the lot and I stole this idea from Kirstie Allsop’s Handmade Christmas programme. 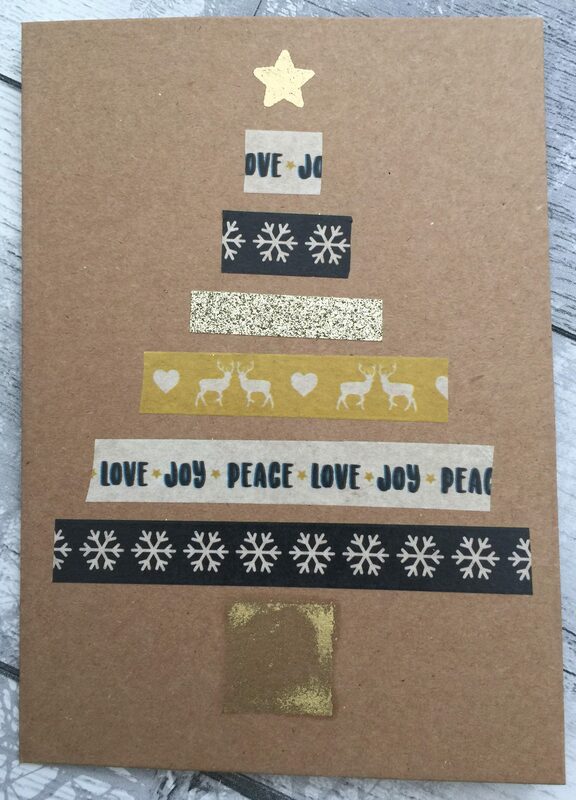 Cut washi tape in gradually shortening lengths and attached to your card to make the shape of a Christmas tree. I created the trunk using a small gold ink pad and embossed a gold star at the top of the tree. This one is so simple you could involve your kids too. 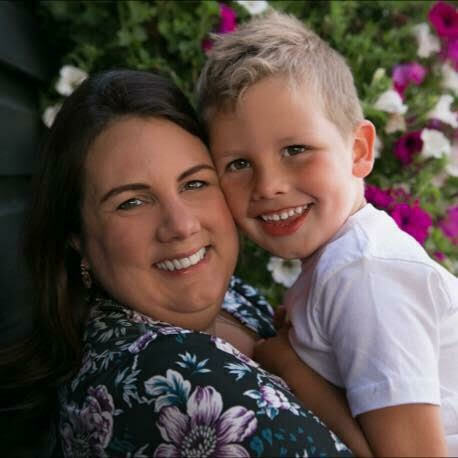 Previous Previous post: On The Seventh Day Of Parenting – What’s In Our 2017 Christmas Eve Box?